A car mechanic has been sacked after he took a taxi driver’s car out for a spin without permission when he was supposed to be servicing it. Taxi driver Nima Saeidi discovered what had happened from footage on his dashboard camera which showed the car being driven erratically around Enfield, north London, with the driver not wearing a seatbelt. He also discovered that despite being billed £220 for the service, no work had been carried out on his Ford Galaxy. A good level of road risks insurance is a necessary part of your administration and general motor trade insurance but obviously, it’s important to ensure that members of staff do not take advantage of customers' vehicles when they are on your premises and in your care. The incident at Enfield happened at the TrustFord garage on Great Cambridge Road. The business has apologised to Mr Saeidi, refunded him and sacked the mechanic. Mr Saeidi told the Enfield Independent: “I was shocked – not only had it been driven without my consent, it has been driven dangerously, and I have reported it to the police. 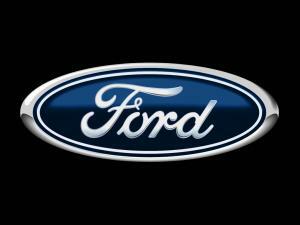 TrustFord has now started an investigation into what had happened and said the mechanic had been dismissed for a breach of the company’s “strict terms of employment”. Spokesman Andrew Nankervis said: “We can also confirm that on the day that TrustFord was alerted to the incident by Mr Saeidi they carried out a further service and that they are also carrying out full safety and wheel alignment checks on the vehicle.